At the lunchtable at the office earlier this year we talked about homemade things. Among things we talked about, making sauerkraut came up. I love making things from scratch and after that lunch, I knew I had to try making sauerkraut myself. I don’t eat it myself, but that doesn’t matter–I still love make it. 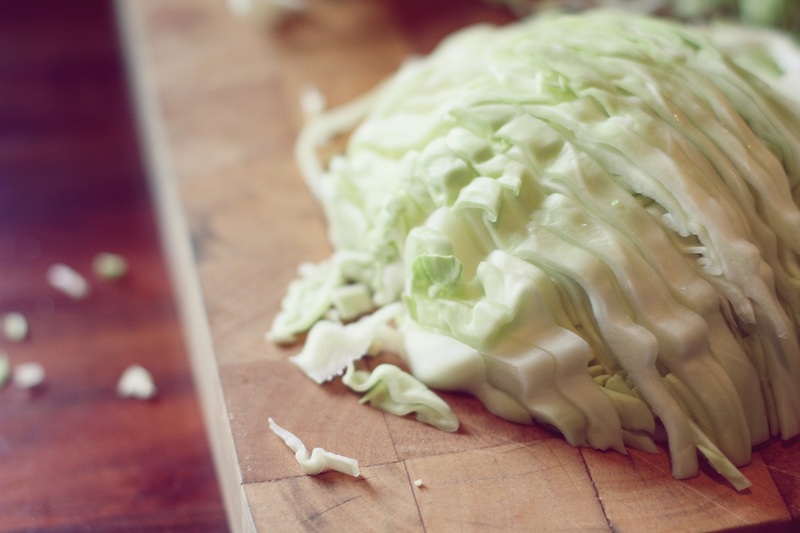 Making sauerkraut is very easy and somthing anyone with a kitchen can do. I searched for a recipe online and I found several. In the end I ended up with the one below. 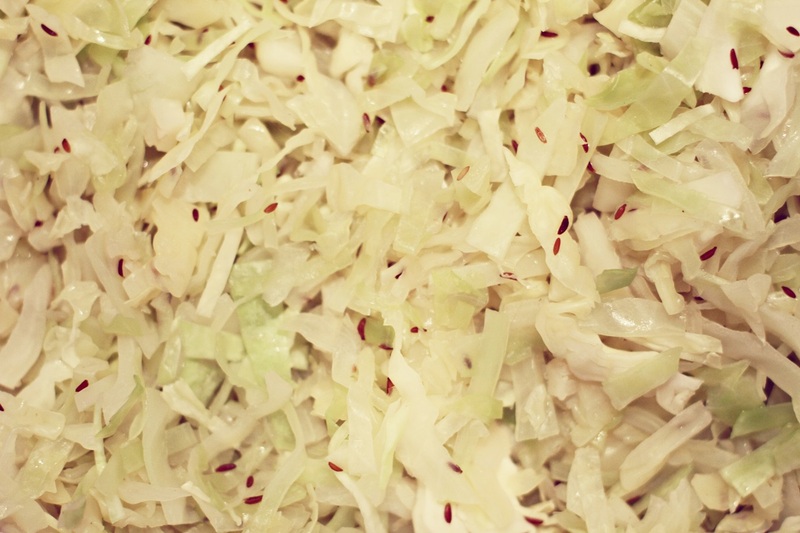 Finely cut 750 grams of cabbage into thin pieces. Pour the water in a casserole and let it boil. Turn down the heat. 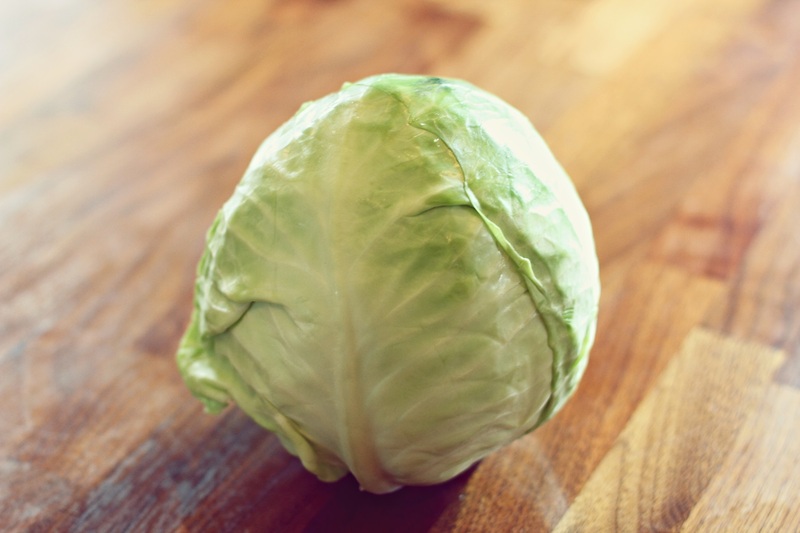 Fill the casserole with cabbage in layers with caraway and salt between the layers. Make it zimmer for 45 minutes. Stirr in the casserole every 5-10 minutes. Add the vinager and sugar. 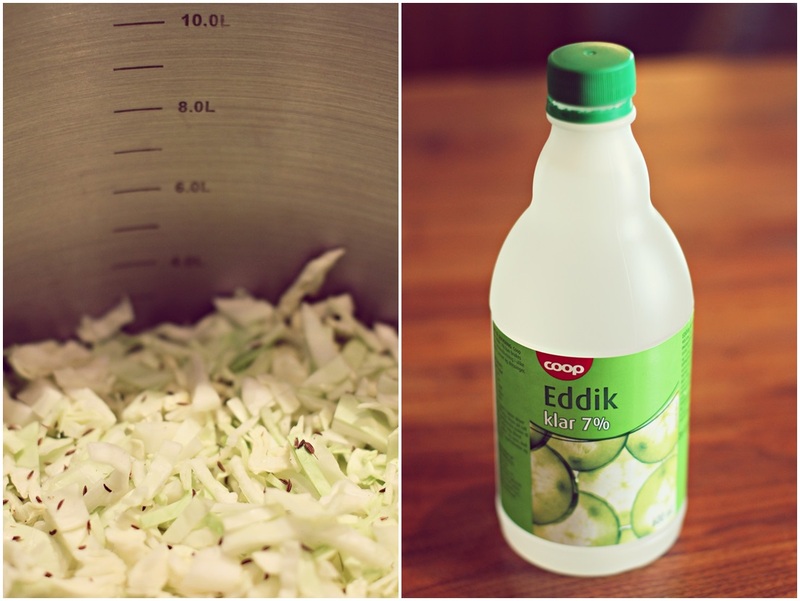 Let it zimmer some more so all the cabbage will be infused with the vinegar and sugar. 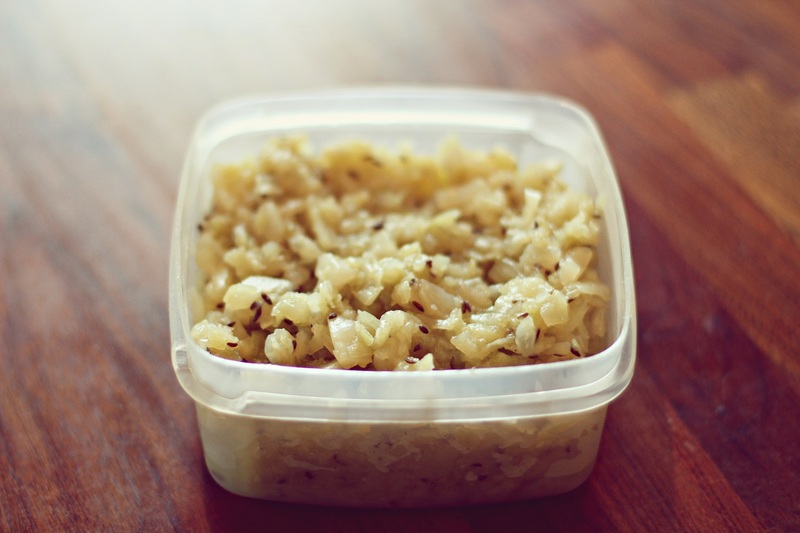 You can add more caraway and vinegar if you want–it depends on how tastefull you want the sauerkraut. We eat sauerkraut on Christmas Eve. My plan is to make some home made sauerkraut for this Christmas. It’s always fun to have things made from scratch on the table, in stead of something fabricated. I don’t do anything without documenting it with pictures. Here are a few I took while making the sauerkraut. How did it turn out? I’m a big fan of sauerkraut and love making things from scratch myself. I love your photos! I am new to the blogging world and trying to find tips on photography to make my blog more appealing. Thank you! :) What is your blog url–I wanna take look. Love your avatar pic–I love prawns (or what they’re called in english)–especially marinated in chili, lime and garlic. Normal picture but you take it fantastic. I like it!! !